Demand for homes in Liguria, Umbria and Tuscany is reaching an all time high among foreign buyers. The competition for Ligurian properties is driving prices up, and attracting homeowners who will spare no expense in finding the perfect Italian getaway. 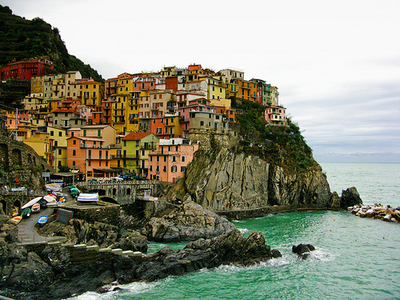 Expatriates are willing to pay enormous sums for a Ligurian address. According to entrepreneur Martin De Rosa, Germans spend an average of 300,000 Euros and 76% of British buyers look at buildings in the 300,000 to 500,000 euro price range. The Russian buyers put other foreign homeowners to shame, willing to put down over 900,000 for the perfect Ligurian home. Property values have risen throughout Italy in spite of the global economic downturn, and 61% of real estate agents expect the housing market to get even better in the next two years. The thriving market is attracting buyers who are willing to pay up to 17,000 Euro a square meter for properties in Ligurian towns like Santa Margherita Ligure. The increased interest in the region may signal a trend of foreign buyers moving away from major cities and preferring to purchase homes in smaller villages. As prices hit record highs, Liguria has achieved a record number of Blue Flag beaches. In fact, the award-winning beaches play a major role in increasing the desirability of property in the region. Blue Flags are awarded around the globe by the Foundation for Environmental Education. The sought-after distinction is bestowed according to a range of environmental indicators such as water quality and protection of nature. In 2011, Liguria was awarded the most blue flags out of all the regions in Italy, so those seeking a prestigious coastal location can head east or west to find decorated beaches. In the Western Riviera, blue flags were awarded to Camporosso and Bordighera in the province of Imperia. In the province of Savona, Albissola Marina, Albisola Superiore, Bergeggi, Celle Ligure, Finale Ligure, Loano, Noli, Spotorno, Savona-Fornaci, and Varazze were the most decorated beaches. in the Eastern Riviera, Chiavari, Lavagna and Moneglia were the recognised coastal towns in Genoa. Lerici and Ameglia-Fiumaretta in La Spezia were also awarded blue flags. It is unsurprising that foreign buyers are willing to pay high prices given Liguria’s incomparable location. The small region is bordered by the sea, the Alps and the Apennines. Liguria is home to the famous Mediterranean seaside towns of Cinque Terre and Portofino. In addition to beautiful beaches, the region is best known for its fresh seafood cuisine and as the birthplace of pesto.